Called to the Bar by Gray’s Inn 1999. 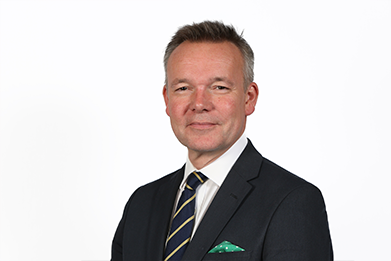 Prior to Richard joining chambers, he was admitted as a solicitor in 1992 where he gained valuable experience working for both Claimants and Defendants. After seven years he transferred to the Bar, broadening his areas of expertise. Richard is a member of P.I.B.A. Richard has experience in all areas of personal injury as well accidents at work, occupiers’ liability, insurance, inquests and criminal injuries compensation appeals, professional negligence and clinical negligence claims. Richard has built up an extensive road traffic accident practice, including low velocity impact cases, highways act claims, credit hire and fraudulent claims. When not in court, Richard has a busy paperwork practice. Richard has a nationwide practice is happy to travel beyond the northern circuit. He is happy to accept cases on a CFA basis. Richard is also part of chambers costs team. Richard is happy to give seminars and training on any of his areas of expertise.